Founded in Istanbul, Turkey in 1956 KAMA has remained true to its commitment to exellence powered by most up-to-date technology and equipment, reliable and experinced personel and a research department that pushes among other technology developments. Wheels and Castors for Airport Application. When selecting the size and material of a wheel and castor there are some factors that should be considered. The selection should depend on the required loading, the environmental influences, the starting and rolling resistance and the surface. These factors should be taken in care, to be able to work necessary with the wheels and castors. 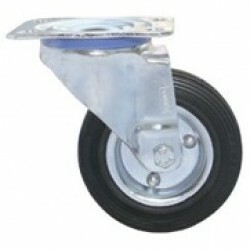 KAMA wheels and castors start from 10kg to 30tons of loading capacity. The environment is important because some wheels may be used in bad weather or may be needed to resist high temperature, so the most suitable wheels and castors should be used in order to be able to face no problems. Also the surface is important because we won’t want any marks of wheels on newly made surfaces. Light Duty Wheels: These wheels and castors are for places that won’t need high loading capacity. Mainly advised for wheels of service trolleys, office furnitures. Medium Duty Wheels: Used for general needs. Can be used in nearly every sector. 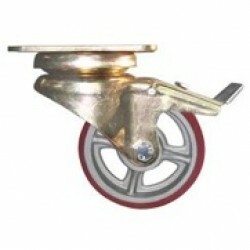 Has a wide range of wheels and castors. 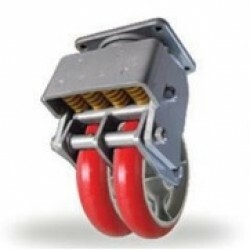 Heavy Duty Wheels: Is used where high loading is needed. Generally used in Aircraft care centers, cargo or passanger handling and many more. Hard Treaded Wheels: In the range of hard treaded wheels, it is usual to consider castors with the cast iron wheels as a basic standard, as these are generally the strongest and have a long lasting life. They are also certainly the easiest to push and in many cases will, therefore, be the first choice for maximum mobility. They can be used in temperatures from -40ºC to 80ºC. 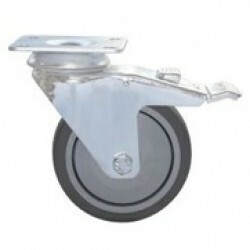 Soft Treaded Wheels: Soft treaded wheels, such as polyurethane, give the ultimate in quietness and floor protection but introduces a penalty from the point of view of ease of movement, as the tractive resistance or effort required to move them is generally up to three times greater than that of the equivalent size hard treaded wheels. KAMA has a range more than 15.000 wheels, swivel/fixed/braked castors ranging from 10kg to 30 tons of loading capacity that may be used in nearly all applications in the Airport Sector. Machinery handles and knobs are produced more than 200 types. The aim of KAMA is to give good quality with good prices, requirements and customer satisfaction is the law. Customer needs are always the policy of KAMA and to be able to meet the needs, KAMA works continuously.